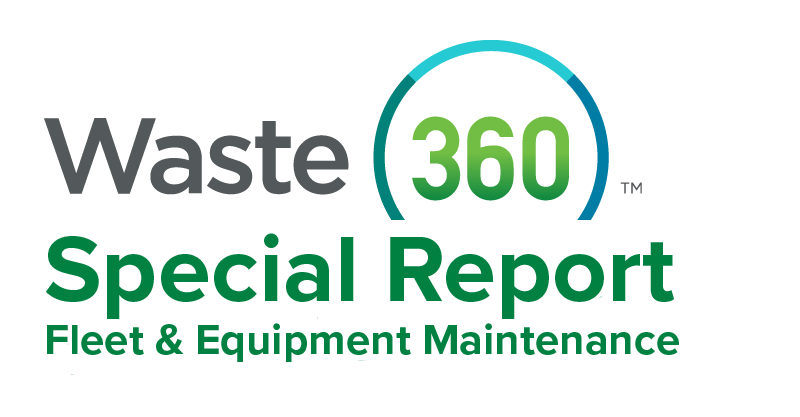 Waste360 talked to Tim Rowehl, New Jersey-based Casella’s vice president of fleet, for a behind-the-scenes glimpse of what goes on in fleet maintenance shops. Refuse trucks are among solid waste companies’ top expenses. Keeping them on the road—generating dollars rather than costing money—is both important and complex, especially as these behemoths become more technologically sophisticated. While many of the technology add-ons make haulers’ and operation folks’ jobs easier, they also present a continuous learning curve for the fleet management team. Rowehl shares insights on what’s entailed in maintaining these trucks with their technologies to promote safety and route optimization; with their increasing automation and, in some cases, their conversion to compressed natural gas (CNG) fuel systems. He also shares his take on an innovation some entrepreneurs think could materialize down the road. Waste360: What maintenance is involved with roll-offs, versus front loaders versus rear packers? Tim Rowehl: Automated side loaders (ASLs) are the most complex and expensive to maintain, though among the most productive. There are several moving parts, and the movement is complicated. Because of their high productivity parts wear out frequently. There are usually several sensors and controls requiring adjustment and maintenance. The next are front end loaders (FELs), usually large capacity. While not as complex as the ASLs, they have several wear parts and sensors requiring maintenance. And residential front load trucks add complexity. They are usually dual drive, with a front carry can which could include a cart dumping mechanism. Rear loaders are next. They are relatively simple with limited automation, thus, easier to maintain. They usually manage less waste volume than ASLs and FELs so don’t need replacement parts as frequently. Roll-off is the least complicated and least expensive to maintain. The hydraulics are simple and only run while picking up a container. Individual loads are heavy and there is wear and tear, but they are easily repaired. Waste360: How have you worked to reduce unplanned downtimes for your fleet? Tim Rowehl: The best way to control downtime is through good preventative maintenance programs and good repairs done by well-trained technicians. There are multiple benefits to identifying a potential problem during routine maintenance compared to a failure on the route. Waste360: Does Casella have all in house mechanics working on these trucks? What’s entailed with keeping mechanics up to speed? Tim Rowehl: Most of our repairs are done in house with our mechanics. We have multiple training sessions done by our suppliers. We also take advantage of our suppliers’ online training. When we cannot do the repairs in house we usually go to the manufacturer. They may come to our site or we may go to their facility. Otherwise we do not bring in outside specialists. Waste360: Has the use of route optimization software helped with the general wear and tear of the fleet? Tim Rowehl: We have not noticed a significant difference in general wear and tear resulting from the use of route optimization software. Waste360: Does Casella use drive cams and other safety software? Has analyzing driver behavior helped reduce accidents and wear and tear? Tim Rowehl: We do not currently have drive cams in all of our vehicles. Where we do have them installed we have seen improvements in driver performance. We have been able to coach the driver to reduce hard braking and abusive driving. We cannot qualify any reduction in maintenance costs however we feel it is there. Also when a driver has been in an incident we can see what happened and who was at fault. We have used it to validate the driver’s explanation of the incident. Waste360: How has the move to run these trucks on CNG impact the fleet maintenance team? Tim Rowehl: We run 31 CNG trucks from four locations where our technicians have been trained on the CNG engines and fuel systems. The engine is a spark ignition engine with different operating principles than diesel. So training on the CNG engine and complete fuel system is critical. We have had issues with engine durability which we work closely with the manufacturer to identify. We work with them continuously to improve reliability and engine life. Waste360: Do you have your own CNG fueling stations, and if so what is involved with maintaining them? Please explain how the slow-fill truck impacts keeping them on the road. Tim Rowehl: We have four onsite fueling stations, all under maintenance contracts. We do a daily walk around inspection of fueling components and call in service if we find issues. Our facilities use slow fill. At the end of the day drivers plug the fueling hoses into the truck which fills overnight. This allows use of smaller compressors (meaning hours to compress gas compared to a much shorter window) and slow fill more efficiently fills the tanks. Waste360: What do you perceive as being issues (good or bad) with electric trucks should they eventually become common in the trash industry? Tim Rowehl: I have not seen a good option for electric refuse vehicles so far. If they were to come available I think we would see the same issues as with CNG. It would mean retraining technicians and potential facility retrofits. A quiet, emission-free truck would be a great option but you have to look down line to where electricity is generated and determine if it’s creating less emissions than the truck would. I don’t see the hydraulic systems going away. Waste360: Are there maintenance and repair considerations with regard to Curotto cans that the automated arm dumps waste in? Tim Rowehl: We do not have many Curotto can systems. Where we do have them we found them to be very efficient and productive. They are a complex system that have had minor maintenance issues, adjustments and such. We have it on trucks where we can remove the can and use the truck as a standard FEL, giving us versatility. We have not had them long enough to give thoughts on longevity.